From Somerset to Yorkshire, we provide our unique brand of practical training across the country for the Youth Hostel Association. 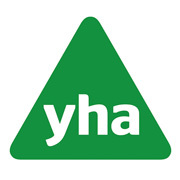 We are proud to be working in partnership with the YHA delivering a fresh, new approach to first aid training. The YHA have always been enthused by the energy and charisma of our experienced trainers, and we aim to ensure our courses are fun and innovative.